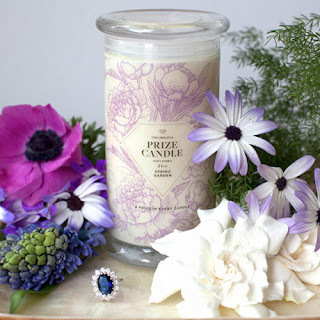 The Prize Candle story began with the collaboration of a team that shared a passion to create an eco-concious candle line that is sophisticated and refined, yet, affordable & festive. Pulling their talents form the fashion, design and tech industry to develop Prize Candle, the result is a beautifully packaged, all natural soy wax candle in fragrances that will enhance your environment with the added bonus of a prize in every candle! Our soybean base vegetable wax is a renewable, environmentally preferred, alternative over paraffin. Prize Candles use soy wax and 100% cotton vegetable dipped wicks to ensure unsurpassed quality. 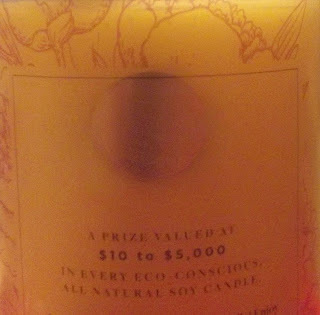 Simply allow your Prize Candle to return to room temperature after opening and enjoy! 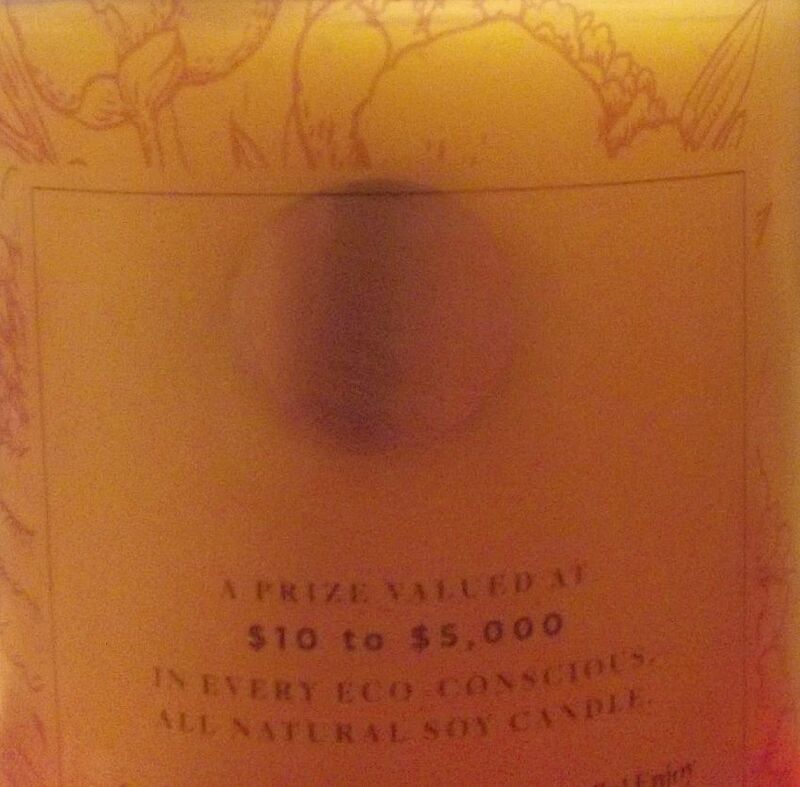 Look For This Circle On The Side of the Candle: It determines where the prize is! As you can see the prizes range from $10 - $5,000! Then you want to take tweezers to pull out your prize, but be careful not to burn yourself! It will be wrapped up twice in aluminum foil so you don't have to worry about wax seeping in - it's also in a plastic wrapper as well. Bam! Your prize is here - and you will also have a piece of paper with your prize so you can go online and appraise your item to see how much it's worth. 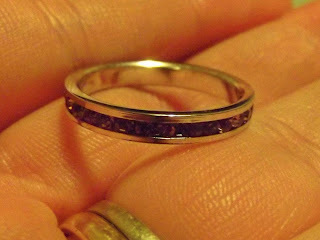 My ring was worth $25! Flourishing spring gardens are the inspiration for this inviting fragrance. The scent is a highly floral scent and is very fragrant through-out our home which I like because I like highly fragrant candles - that means you get your money's worth. I have burned this candle for a course of 3-4 hours and there is a small dent in it - I was very surprised that it wasn't burned down more considering the texture of the candle was very soft - I figured it would have burned faster - again no problem with that in my book! After it burned a little ways down my prize was actually very close to the top so I didn't have to wait long. I picked up my pair of tweezers pulled out my prize and put it in the lid for it to cool because you do not want to pull this out with your hands or just pull it out and not place it on a mat or something because you do not want to get burned by the hot wax. 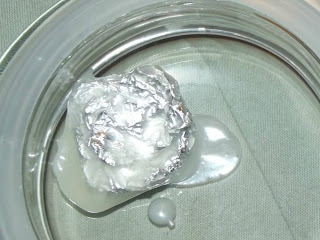 So, after it cooled I opened up the aluminum foil - then there was a second layer of aluminum foil which was great I was kind of worried that the wax would have ruined the prize, but after unwrapping the second layer there was also a plastic mini zip lock baggy that was closed with my prize in which was a cute little ring! I also got a paper with my ring to go onto Prize Candle's website and appraise my gift to see how much it is worth and it turns out it's worth $25! Not bad at all and I thought it was very cute - it had those beautiful purple/amethyst stones around the ring. 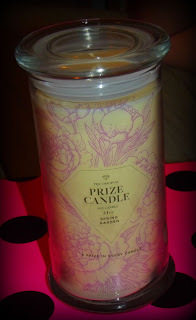 All in all I'm impressed by Prize Candle and I know a lot of you are wondering and I've seen many ask about the difference between Prize Candle and Diamond Candles - From what I've heard - the prize system is different the prize ranges from $10 - $5,000 thus giving you a better chance for a more expensive prize - and I've heard from members who've bought Diamond Candles vs. Prize Candles that Prize Candle's jewelry has actually been more higher of quality. 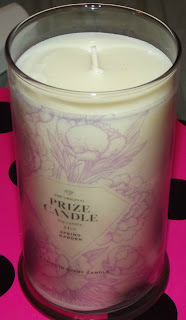 I myself don't know whether this is true or not because I have not tried Diamond Candles, but I do know that Prize Candle's ring I've had on for days now and it has not turned my finger green nor has it chipped in any way which I've have heard has been the issues with other companies with concepts like this. I really love Prize Candle and I think I will be ordering me a Cucumber Melon scent because that sounds DIVINE! 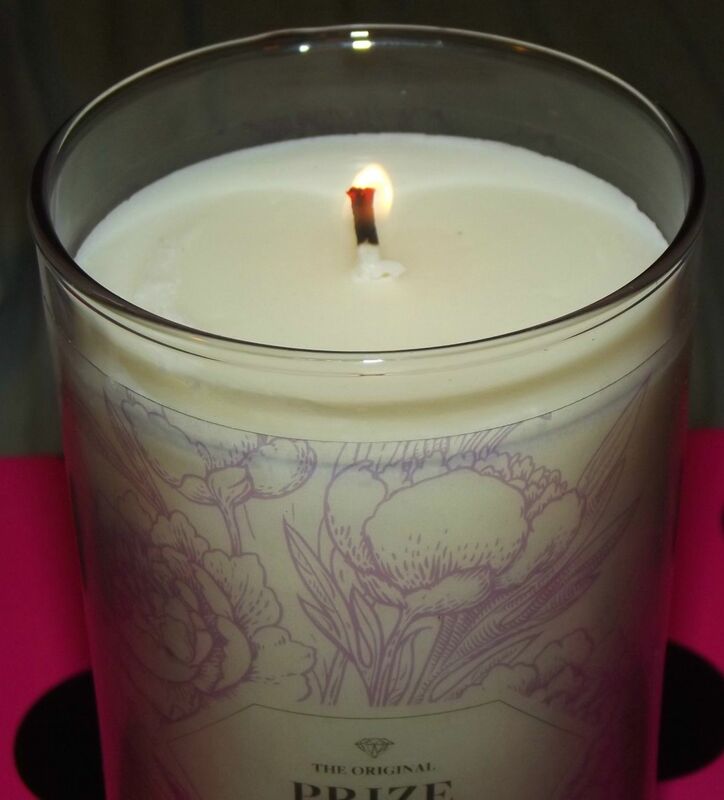 If you would like 10% off your first Prize Candle you can use my coupon code which is only valid for 30 days:" COUNTRY10 "
FTC: I was sent this candle in return for my honest opinion and review. 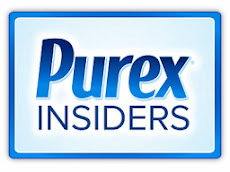 Want a unique gift giving experience that puts you in control of the prize? If so check out http://www.embeddedtreasurescandlesandgifts.com/ for unique embedded treasures in more than just candles! You have the power to choose, what type of treasure you want (gemstone jewelry, cash, electronics, snacks!) and what type of vessel you want it placed in! Give more personalized gifts that dazzle!